With their country failing to qualify for the World Cup for the first time since 2006, it signalled the end for the so-called golden generation, with the likes of Alexis Sánchez and Arturo Vidal bringing Chile a period of unprecedented success. 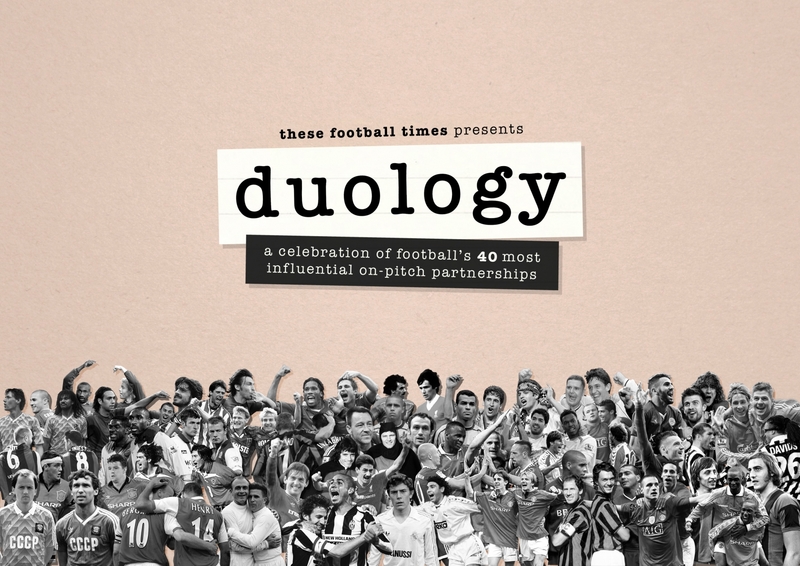 It is not the first time, however, that just a few star names have carried the nation, with a period of decline reversed almost entirely in the 1990s by one iconic goalscoring duo. Coming into the 1990s, Chile was growing weary after nearly two decades of brutal rule under dictator Augusto Pinochet, whilst the national football team were stuck in a rut. After failure to reach both Mexico 86 and Italia 90, the country was banned from 1994 World Cup qualification owing to the equally bizarre and disgraceful actions of Roberto Rojas. During a crucial away match in Brazil the goalkeeper had faked injury from a flare in an attempt to get their opponents disqualified, with FIFA banning Chile in response. 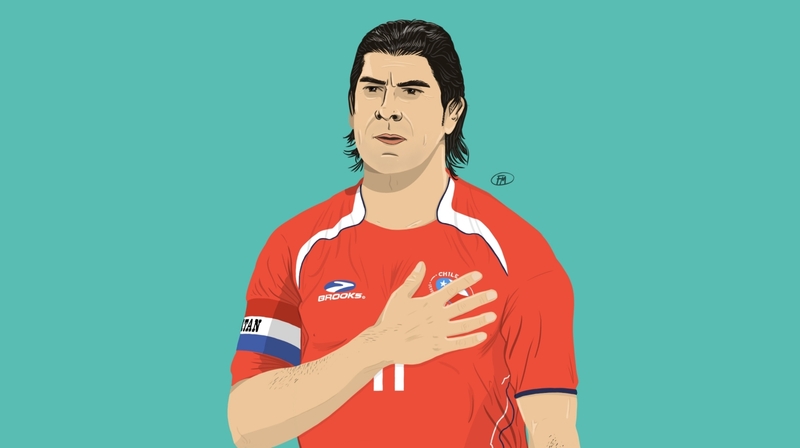 The 1998 qualifying campaign, therefore, represented a shot at redemption and, thanks to the goalscoring exploits of Iván Zamorano and Marcelo Salas, it was one Chile seized with both hands. Zamorano was the older of the two players, born into a working-class family in Santiago in 1967. From an early age, his family encouraged him to pursue his dream of playing for Colo-Colo and his talent landed him in the academy of Cobresal. A small club from the mining town of El Salvador, Zamorano spearheaded their remarkable run to the 1987 Copa Chile title, during which he finished as top scorer. Following another season in Chile, Zamorano made the move to Europe, signing on for a successful spell with Swiss outfit St. Gallen before the switching to Spain’s Sevilla in 1990. Whilst Zamorano’s early career reflected his background, the path taken by Marcelo Salas was far easier. A more comfortable upbringing involved a place in the academy of local side Deportivo Temuco, with his talent far more obvious. In 1993 he was taken by his father to train with Universidad de Chile in Santiago, being signed into the youth academy of the nation’s second-most successful club. After three successful seasons, featuring back-to-back league titles, he moved in 1996 to Argentine giants River Plate. Both players possessed immense technical prowess, being able to finish with both feet from even the slightest half chance. Zamorano and Salas were also renowned for their aerial ability, racking up a considerable amount of goals with their heads. Dubbed El Matador, owing to his trademark celebration of bowing to the crowd, Salas was equipped with a surprising turn of pace, whilst Zamorano was known for his tireless work rate. When playing together Zamorano tended to remain central, with Salas’ youthfulness utilised in chasing the ball in the channels. The partnership began shortly after Salas made his international debut in May 1994. Scoring in a 3-3 draw with Argentina, his next cap was the first outing of Za-Sa, with Zamorano netting the winner. A 2-1 friendly win over Mexico in March 1995 was the first real sign of the potential this partnership possessed. An inch-perfect pass from Zamorano to Salas allowed the latter to open the scoring as he coolly slotted home with his left foot, whilst the former converted the winner from the spot. With World Cup qualification just around the corner, the decision of Xabier Azkargorta to put the two together was to prove a masterstroke. Qualification started in 1996 with a scrambled 95th-minute equaliser, in a 1-1 draw in Venezuela, but the next match foreshadowed the importance of the duo to Chile’s World Cup campaign. A victory over Ecuador in Santiago incorporated three goals from the Za-Sa pair. The first featured a now trademark header from Salas back across the box for Zamorano to finish low, with Salas netting 15 minutes from time to put Chile back in front. He then assisted Zamorano again with a cross four minutes from time to seal the 4-1 win. A poor run of form, however, with a 4-1 loss in Colombia and further defeat to Paraguay, put qualification in doubt. A goal on the hour mark from Salas against Uruguay, in November 1996 secured a crucial victory with the following matches again yielding disappointing results. A 1-1 draw in Argentina was followed by a 2-1 loss in Peru and another draw in the notoriously inhospitable Bolivian capital La Paz. Their form was inconsistent and not nearly enough to drag a nation into the World Cup. It was at this halfway stage where Za-Sa really stood up to be counted and effectively carried their nation on their tandem shoulders. A 6-0 win over Venezuela featured a remarkable five goals for Zamorano, a massive boost to his goal tally that helped him finish as top scorer for the CONMEBOL region. The pick of the goals was the penultimate strike, which saw him flick the ball up on his chest before slotting home in the six-yard box for his team’s fourth, whilst the final goal saw Zamorano beat Rafael Dudamel from the edge of the area. In the next game with Ecuador, another Salas header salvaged a point, before El Matador went on to get a hat-trick in a 4-1 victory against Colombia. Zamorano got the other as the duo were now on a two-man mission to get Chile to France. A brace from Zamorano dispatched of Paraguay in a 2-1 win, whilst a Salas hat-trick saw off Peru in a 4-0 triumph. Sandwiched between these games, however, were two losses – to Uruguay and Argentina – which put Chile in a precarious position once more. Fortunately, a 3-0 victory over Bolivia in the final round of matches guaranteed Chile the final qualification place. In qualifying, Salas and Zamorano ended as the top two scorers, with 11 and 12 goals respectively. This comfortably had them ahead of third-placed Faustino Asprilla of Colombia who managed seven. With qualification secured the duo set about warming themselves up in friendlies prior to the tournament. The defining moment came at Wembley in February 1998, with Salas scoring arguably one of the famous stadium’s great goals. A long ball upfield from José Luis Sierra found Salas, who didn’t even break stride as he killed the ball on his thigh before rifling a volley into the bottom corner past Nigel Martyn. It was this sort of finesse that would soon see him land on European shores at Lazio, following his now Internazionale-based strike partner Zamorano to Italy. Both also scored in a friendly win over Uruguay, and it seemed Za-Sa were ready to lead Chile in their first World Cup campaign since 1982. Drawn in a group with Austria, Cameroon and Italy, Chile achieved the unusual feat of qualifying for the knockout stages despite failing to win a game. In the first match with Italy Salas scored twice, justifying his £16m purchase by i Biancocelesti. The first one came courtesy of a Zamorano knockdown from a corner, whilst Salas got on the end of a Pedro Reyes cross early in the second half to flick beyond Gianluca Pagliuca. Unfortunately a late rescue act from Roberto Baggio denied Chile a famous victory. The next game against Austria brought with it another goal from Salas, as yet again he demonstrated his wonderful positional instincts to convert after Michael Konsel had palmed out Zamorano’s initial header. Again though the three points were thrown away, this time as Ivica Vastić converted from the spot in stoppage time. The final group match with Cameroon ended in another draw, with an equaliser from Sierra. In the resulting round of 16 tie with Brazil, Salas managed to score again, through an instinctive finish after Marcos had pushed out a header from Zamorano. Unfortunately, a Ronaldo inspired opposition triumphed 4-1 en-route to the final, as Chile’s star duo were sent home. The following year’s 1999 Copa America saw Zamorano score in the solitary group win over Venezuela as, despite losses to Mexico and Brazil, Chile qualified for the next stage as the highest ranked third place team. By now Za-Sa’s influence was waning though, as Salas failed to play in the final group match with Brazil or quarter-final with Colombia. Zamorano, meanwhile did score in this match, while the other two came courtesy of defender Reyes. Salas returned for the semis with Uruguay, in which Zamorano scored, but Chile were to exit on penalties. They then lost 2-1 in the third-place playoff with Mexico, with Zamorano failing to score and Salas not even getting on the pitch. Unfortunately, by this stage, the duo had lost their magic touch, with Chile ending qualification for the 2002 World Cup bottom of the group with a forgettable three wins. Zamorano retired mid-way through this campaign, whilst Salas soldiered on but failed to make another appearance on the biggest international stage. Instead, the remainder of his career was plagued by injuries and poor club form, as he was frozen out at Lazio and then failed to make any impact for Juventus. He returned to River Plate in 2003, later going back to Chile and winding down his career with Universidad before hanging up his boots in 2008. 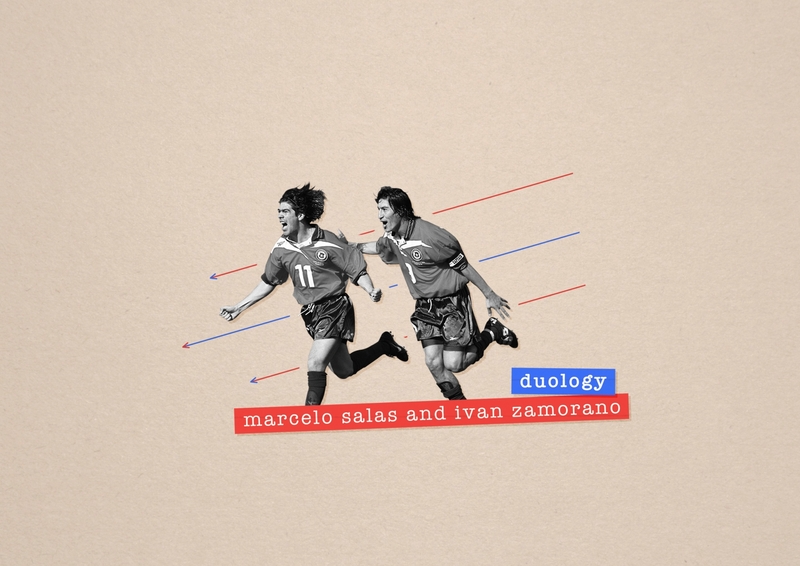 Despite the laboured finishes their football careers received, in the history of iconic striking duos, few have been as important to their team as that of Chile’s Iván Zamorano and Marcelo Salas. Whilst there may never have been any tangible honours that would demand acknowledgement from newer fans unknowing of their country’s history, to hark back to the exploits of their golden generation in the style of today’s Chile, there is no denying it was Za-Sa that made their great nation believe again.